Welcome to our SEAS Prestige tweeter product line. 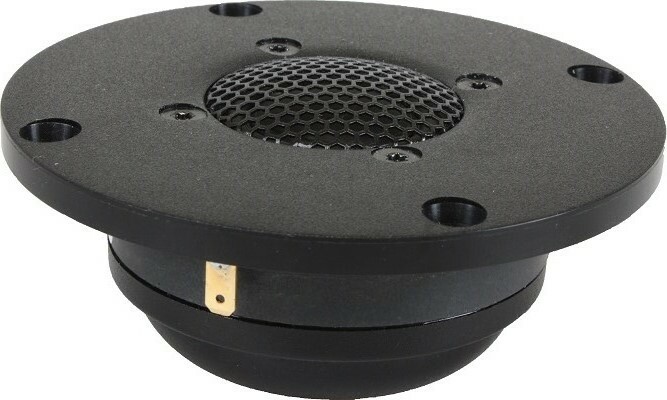 We have dome tweeters with 19 and 25mm voice coil diameters and different surround diameters. The rigid chassis are made from glass filled engineering plastic materials by injection moulding. Further, the chassis may be custom designed to specified shapes, surface finishes, fixing holes, logos etc, within wide limits. 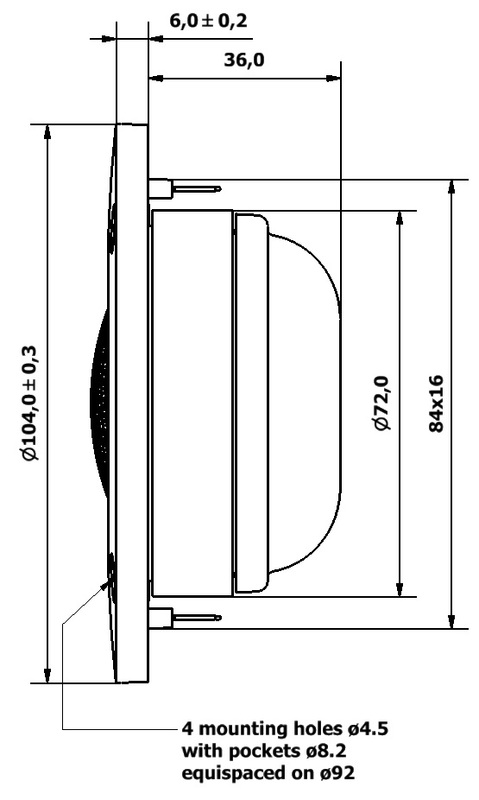 We offer dome diaphragms made from soft materials such as impregnated fabric, aluminium and titanium. The latter is equipped with a soft surround which suspends the dome diaphragm in a compliant, but precise and dependable manner. All dome diaphragms and surrounds are made in-house at SEAS, except for anodized aluminium and titanium. The relatively fragile aluminium diaphragms may be protected by wire mesh or perforated metal grilles, or by plastic diffusers. The diffusers also linearize the frequency response to an amazing degree. The latest addition to our range of tweeters is the SEAS Prestige DXT® tweeter, with controlled wide dispersion. All SEAS tweeters are available with magnetic fluid in two different viscosities, which improves the heat transfer from the voice coil. 27TAC/GB is a High Definition metal dome tweeter with a wide, soft textile surround and a rear chamber. Anodized aluminium alloy diaphragm with pistonic behaviour throughout the audible frequency range, resulting in a good dispersion also above 10kHz. A Hexagrid protects the diaphragm. 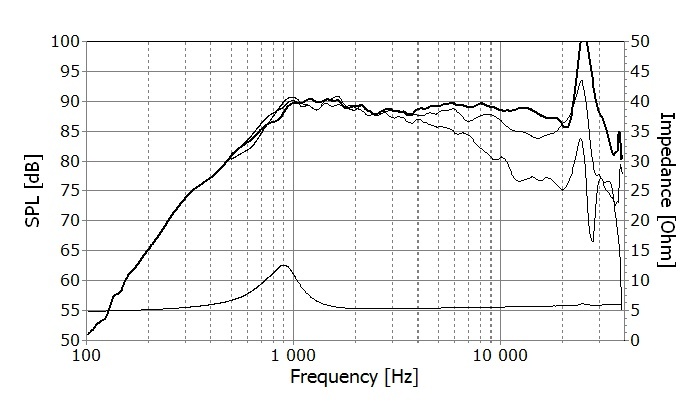 Sonomex surround for low resonance and excellent mechanical linearity. Titanium voice coil former for optimum transfer of force from coil to dome. The non-conductive former also doesn’t add any damping to the excursion to allow a very transient sound. Copper cap in the magnet system reduces distortion and voice coil inductance, resulting in a sound without colorization. Optimized rear chamber and internal damping for a smooth and resonance free response.